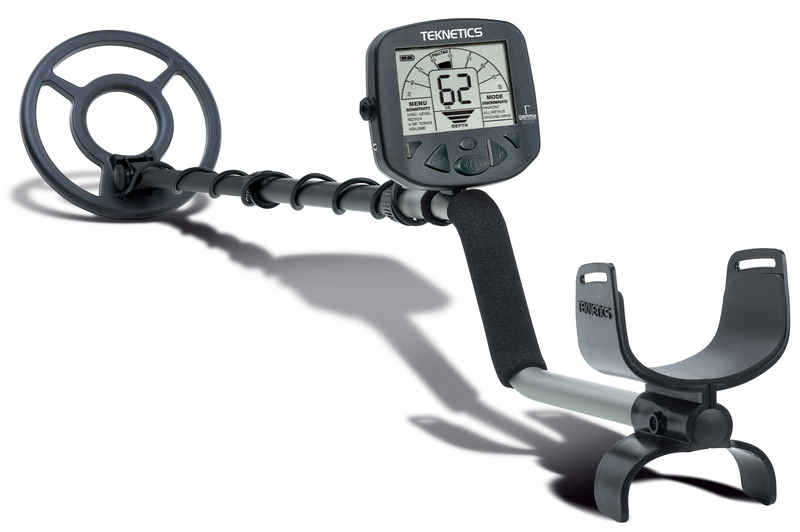 The Gamma metal detector is one of the latest and greatest from the world-renowned Teknetics metal detector brand. Released at the end of 2008, just in time for the holiday season, the Gamma boasts state-of-the-art detecting features housed in the most modern of detector designs. The large control housing features rubber-button control interface, numerical depth readout, an intuitive menu system and a running depth indicator. These tools combine to help even the most novice detectorist hunt like a professional! 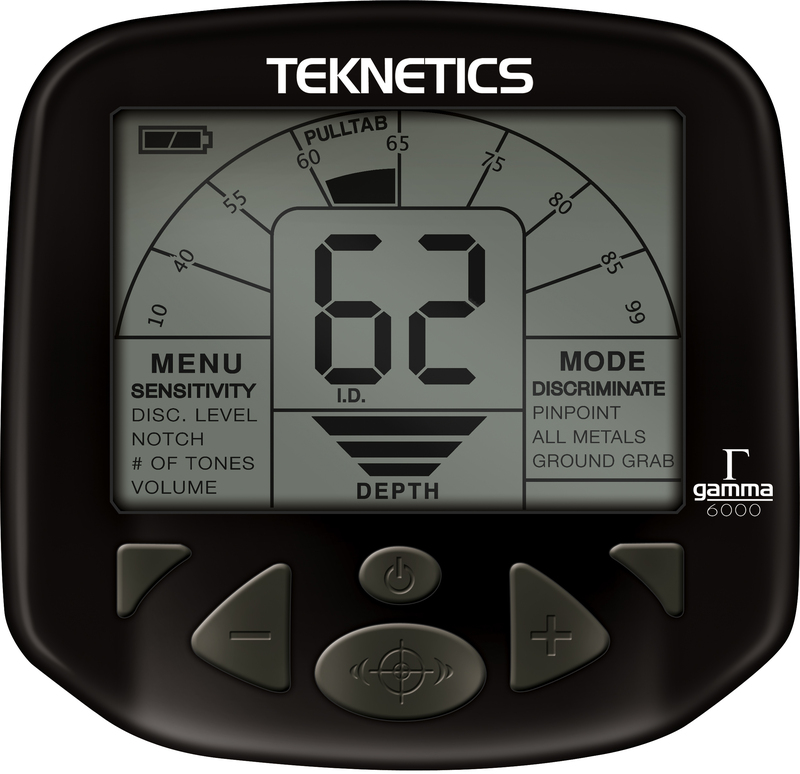 A step above its brother, the Teknetics Delta 4000, the Gamma has more user-adjustable features. Manual Ground Balancing will allow you to selectively tune out those pesky minerals that give false signals while 79 levels of Adjustable Discrimination will keep those pull tabs out of your finds collection while increasing your number of gold rings! The Gamma also has "Multiple Notches," selectable by categories, so you'll be able to select pre-programmed discrimination settings and spend your time digging treasure – not programming your metal detector! Another advanced feature on the Gamma is the "Ground Mineralization Readout" which will describe what you're encountering in the ground. This is extremely helpful as you ground balance your machine in various terrain. Wet, salty beach sand, and highly mineralized black sand are two common conditions that will highly benefit from this feature. Additional features include adjustable sensitivity, a two-digit numerical target identification system, and two search modes: Discrimination Mode and All Metals Mode. The Gamma transmits a low frequency of 7.8kHz to alert you to literally every type of treasure buried beneath the surface. A running depth indicator will show you how deeply buried treasure lies, while the audio pitch will change in proportion to the strength of the target's signal (which means the louder a target, the closer it is!). All those features combine with the bonus of fully static, push-button pinpointing capability to make this metal detector do it all for you – and fast! Only one 9 Volt battery is required to operate this new, impressive and affordable machine and it won't just die on you in the field – it features a battery life indicator to make sure you're prepared to treasure hunt for hours on end!